Brands interact with the outside world differently than they did a decade ago. Today’s reality is that on Monday the most loyal brand advocates are publically singing praises via social media, but by Friday they could be tearing that brand down and calling on everyone to boycott. Perhaps this is a bit of an exaggeration, but still within the realm of possibility. Every brand WILL make a mistake at some point that could potentially ruin them forever, but that does not have to be the case. Brands that navigate mistakes with finesse can not only avoid negative long-term consequences, but may actually become something better in the end. The trick is for brands to already know and follow a few basic guidelines so that mistakes are handled with the utmost care. Be the brand already known for goodwill. If everyone already loves a certain brand because it’s known for service and goodwill, chances are clientele and the public will be more inclined to forgive a mistake or two. As long as that brand manages to respond appropriately to the immediate error, they’re already a step ahead in gaining forgiveness from their biggest fans. 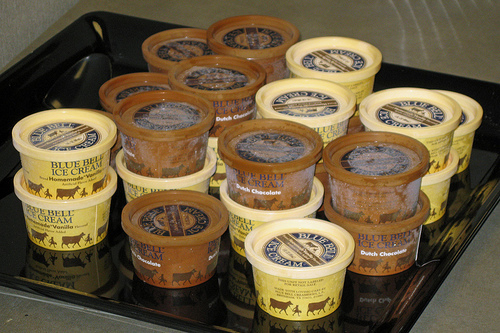 Well-loved Blue Bell ice cream halted production this year because strains of Listeria made multiple people sick and caused five deaths. Blue Bell is in the process of redoing production processes and revising their policies to making sure it doesn’t happen again. Photo credit listed below article. Display an immediate remorseful response. When organizations make mistakes they should do everything they can to jump in and rectify negative consequences. Showing immediate generous remorse and sympathy is the key to making amends with all those negatively affected simply because it shows that someone cares. Giving a hesitant half-hearted apology will not impress anyone and will surely send the opposite message—that in fact a brand doesn’t really care and is only obligated to apologize. Make a company-wide change. Nothing says brands are serious about making amends like putting in place guidelines to prevent the same mistake from ever happening again. Brands that go this extra mile not only show they mean business, but will at the end of the day become better brands than they were before that mistake ever happened. Show complete sincerity. No matter the protocol for handling mistakes and difficult situations, the most important part is showing sincerity. Although this can be tricky at times, one sure-fire way to make it happen is by putting yourself in the shoes of those impacted and making sure they are treated exactly as you would expect to be treated by your favorite brand. Communicate. When making restitution for mistakes, brands shouldn’t be shy about letting people know everything they’re doing to make amends. If a company-wide policy is changing it’s even more important to let everyone know that not only does your brand listen, but you will work to make yourselves better for the future. Showing and telling what actions are being taken to make amends lets the public know not to give up on a brand yet. Handling mistakes well can be the perfect way to show who a brand really is, or at least prove who they are trying to become. When brands manage day-to-day business and tough circumstances well, casual customers have the potential to become brand fanatics. So even those moments when bad press is pointed in your direction, make it an opportunity to show everyone that your brand can respond, and then become better than you’ve ever been before. Just remember that the next time a mistake has you reeling in guilt and regret, work through it as thoughtfully as possible and show exactly who you are as a brand. If your giveaway didn’t have a logo, would it still be a great product?